The film starts off with the story of rivalry between two neighboring kingdoms led by Rishikodagan of Kottaipatinam and Mahendra Rajan of Kalingpuri. We see little Rana, leaving Kottaipatinam by a small boat ,and reaching Kalingpuri , there he gets trained and grows up to become a fearless warrior Rana(Rajinikanth). Leading the Kalingapuri army as the army chief he invades most of the neighbouring kingdoms and extends the Kalingapuri’s border . He wins the confiedence of the king and the prince and take the army men of Kottaipatinam, who were being treated as slaves by Mahendra Rajan, to fight for the Kalingapuri ‘s army against Kottaipatinam. On the battlefield he asks the enslaved army men, originally belonging to Kottaipatinam, to cross over to Kottaipatinam and he revels himself as Kochadaiyaan’s younger son who has vowed as a child to bring back the enslaved army men back to their own land. Even though Rishikodagan happy that they had won a war without spilling a drop of blood he is alarmed at seeing Kochadaiyaan’s son return .What’s the story of Kochadaiiyan and what’s the reason behind Rishikodagan’s worry forms the rest of the story. 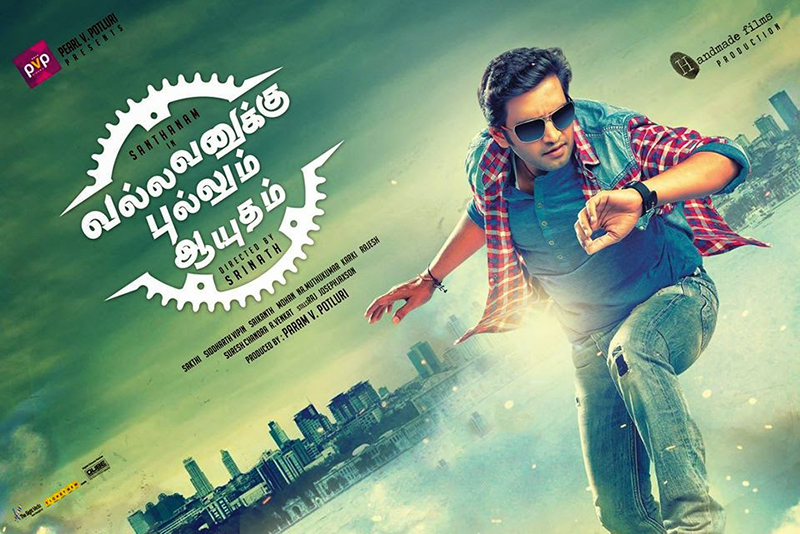 Santhanam makes his debut as a hero in this remake of the Telugu blockbuster “Maryada Ramanna “. The film starts with a family feud which ends in the death of his Shakti’s (Santhanam) father and the brother of Singraayar his Uncle. Fearing for her son’s life, Shakti’s mother flees the village. However, Singarayar and his two sons, pledge to take revenge. After 27 years we see Shakti as a hardworking but unlucky lad who has fallen on bad times and is in need of money. He is surprised to know that his parents have some land back in his village which he good sell. But he is warned by his family friend not to go as the old family grudge may lead to his death. But Shakti neglects the warning and leaves to his village. He also meets Vaanathi (Ashna Zaveri) a graduate returning home in the train and they becomes friends not knowing that Vaanthi is Singaraayar’s daughter .When reaching his village he is directed to Singaraayar himself to sell his land, not knowing who Shakti is, Singaraayar invites him for lunch to his house. Very soon they come to know who Shakti really is plan to kill him once he steps outside the house,as they have policy of not even a drop of blood shall be shed inside the house .Shakti too comes to know of this, using his wits he takes advantage of a tradition of their house and plays a cat-and-mouse game . How he manages to escape forms the rest of the story.